When it comes to Shelby Township heating and cooling, many of us take it for granted. Our HVAC units keep us warm in the winter and cool in the summer. But if we don’t maintain our heating and cooling systems, then they can let us down when we need them the most. With regular heating and cooling maintenance, you can avoid problems with your climate control systems and keep the temperature where you want it. 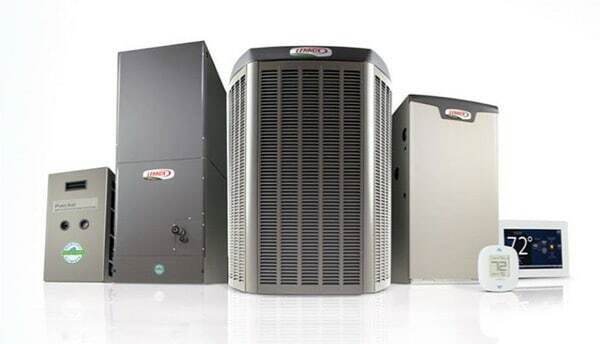 As a full-service HVAC contractor based in Shelby Township, MI, you can count on us for heating and cooling installation, repair and maintenance. Whether you’re in need of a furnace tune-up, new AC installation, or HVAC system repair, our technicians are equipped to make sure that your home is cozy all year round. We will get in touch with you ASAP. Shelby Township furnace contractors can help repair your furnace, ensuring that your home remains warm during the winter months (or whenever you require heating for that matter). Manufacturers try to make heating systems as reliable as possible, but many people living in Shelby can suffer failures, which is when they need our help. Furnaces work in a simple way. The idea is to transfer heat from a warmer object to a cooler one. Propane or natural gas gets ignited inside a chamber, sometimes by a pilot light, and then heats a heat exchanger. A heat exchanger is usually a piece of metal with a large surface area that warms up the surrounding air. When the heater detects that the air temperature is sufficiently high, it activates the electric motor which drives the fan and blows air into the room. Furnaces in Shelby rely on moving parts to operate optimally and, often, these moving parts can let you down. Heating and cooling contractors can repair, install or replace your existing heating, depending on its condition. Our heating and cooling contractors serve all of Oakland and Macomb County – Shelby Township, Macomb Township, Sterling Heights, Chesterfield, Clinton Township and beyond! 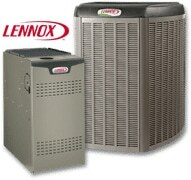 Shelby Township air conditioning contractors can install, repair and replace your air conditioning unit. Just like furnaces, air conditioning units rely on some moving parts which can fail after prolonged use. For most people, the way furnaces work is intuitive, but the way an air conditioner works is a little less easy to grasp. Air conditioners take advantage of a remarkable law of physics called phase conversion. Phase conversion is when a substance goes from one state to another, such as from a liquid to a gas. When some liquids convert to gas, they absorb heat from their surroundings, reducing the temperature. All air conditioning units take advantage of this principle by turning liquids into gases and then forcing them to recondense elsewhere, away from the room that needs to be cooled. This is why you often see air conditioning extractor fans on the side of buildings. Most systems don’t work passively: they rely on something called a compressor. A compressor is a special device that increases the pressure of the gas, forcing it back into a liquid state. Compressors require energy and cause the entire system to give off heat. As Shelby cooling contractors, we know that a lot of things can and do go wrong with air conditioning units. It’s our job to find out what’s gone wrong and put it right. We can also assist you with installing a new unit or replacing an existing one on your property. You can always count on Atlas Heating and Cooling to respond quickly and get the job done right the first time. We offer a free “second look” on competitor written estimates for repairs and installs.